It's time for the annual Month Of Holiday Cards Challenge and I'm so excited that it's about to start again... I've been looking forward to it since the beginning of the year! The cards that were submitted last November were so beautiful and so creative that I was inspired long after Christmas had passed. Each day this month I'll post a different card idea to help inspire your holiday card making. By the end of November we'll hopefully have built up a nice little stash ready to send out to family and friends. The link tool below is where you can upload all your creations during the month. There's no limit on how many cards you create... in fact, the more the merrier! To be eligible to win a prize, your cards must be holiday themed and created during the month of November 2015. All the cards submitted below will be eligible for prizes throughout the entire month, so get your cards in early! winning its author a single digital image of their choice. Every Saturday during November I'll select three cards from the submissions below. Each card artist will win a digital stamp set of their choice. I'll select cards from the submissions below at random times throughout the month. At the end of November, five random cards will be chosen from the submissions below. The creators of those cards will each win five sets of digital stamps. Looking forward to seeing what the first card idea is. Love this month. Will try and keep pace with you this year- I'm going to needs lots of coffee- cake and inspiration. I'm eager to learn, so I'm looking forward to learn a lot this month - and just like you, have inspiration a long time after Christmas! Looking forward to the inspiration and I hope I can play along, since I have just realised I need a lot more holiday cards by the end of this month than I have created so far this year. Fun challenge an great way to get cards done! Thanks for the fun challenges, I hope to get some cards done! Your post for the next day appears in the late, late evening here in my neck of the woods. I must remember not to look. It affects my sleep, planning what I'll make in the morning. But does, eventually, give me sweet dreams. Thank you for this challenge Beccy. I have made 100 cards so far this year but still have lots more to make so I appreciate this challenge and thank you for all the ideas and sample cards. Thank you for this very inspiring Challenge, Beccy. There are already so beautiful Cards postet including your sample Cards. When I entered my card for Day 5 I realised it isn't a Christmas card.....so sorry, I think you must delete it. Your card is perfectly fine for the challenge Margreet... you can make a project for any holiday not just Christmas, and laughter is welcome any time! Thank you for the challenge. It was very effective in my search to avoid work. And it was a quick enough project that I still have a corner of my craft table free... okay you got me I filled that corner with another card!! An amazing display of wonderful cards each day, I love looking through them all and I have tried to comment on some but for some reason of late, I need to prove I am not a robot by using the robotic picture card then I can publish my comment....is anyone else having this issue? I love this challenge! and I love looking at all the amazing cards posted everyday! thank you Beccy for leaving me such a nice comment! Greetings from cold Norway! Saw your race post and wanted to join! I haven't had a chance to blog this card yet (#142) but I made it for your kraft challenge. I'm not sure I'm happy with it but I didn't want to miss out! My tree is "decorated" with words! What a great challenge! I love this idea!!!! I made a card this week with your Roses and Pears image (for the Thanksgiving Challenge you sponsored at the Outlawz) - I love that image and I just posted the card in your inlinkz. Your images are wonderful and fun to color. I am going to try and play in this holiday challenge some more. Fun stuff! I was happy to use your Gingerbread Set on my entry #191! 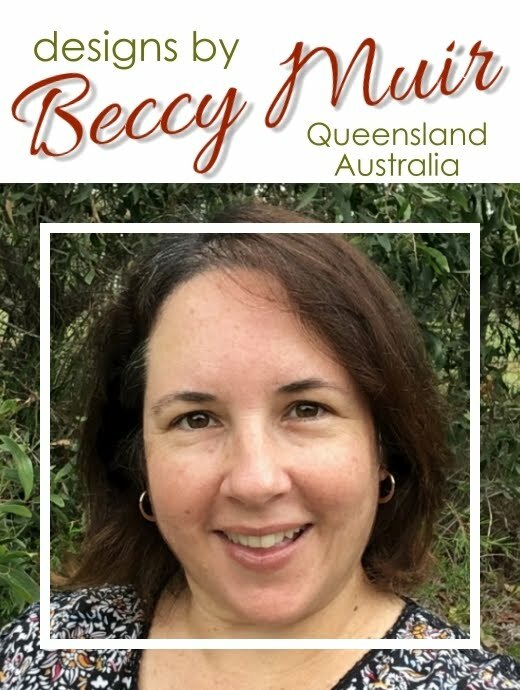 Thank you for the inspiration and all the prizes, Beccy! Enjoy your day! I have just added my card for day 4. I put it on my blog on 6 November but must have forgotten to add it to the link here as I couldn't see it when I looked today. Did I actually make it in time for the race? Thank you Beccy for all these great challenges - and they are a challenge. I love it! Thank you Beccy for a month that have been ful of fun, creative and uplifting. I will surely miss these challenges, so I'll look forward to next year. I have just loaded my last card. Thank you very much for the challenge Beccy and for all the ideas. I have enjoyed doing this month of cards. Have a very happy Christmas. Thank you, Beccy for the final prize. Day 9 - Create a Scene!